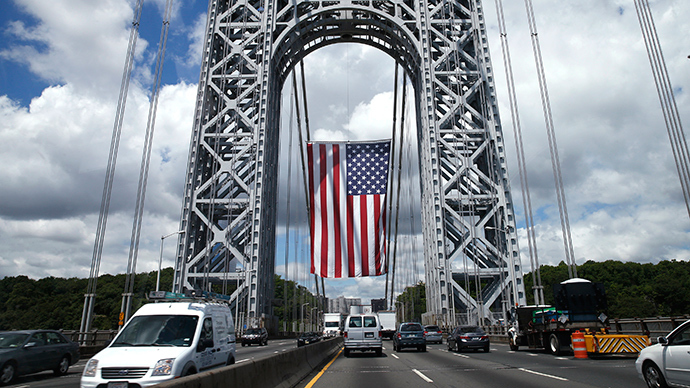 Federal prosecutors have announced charges against former allies of Republican New Jersey Governor Chris Christie related to the 2013 corruption scandal surrounding road closures near the George Washington Bridge. The United States Department of Justice announced on Friday that a former advisor to the governor long-accused of having been responsible for the shutdown pleaded guilty in federal court to charges related to his role in the scandal. Additionally, prosecutors have filed indictments against two former colleagues alleged to have also conspired to exact what US Attorney Paul Fishman referred to as “political retribution” against the mayor of Fort Lee, NJ. David Wildstein, a political blogger-turned-Christie ally, pleaded guilty to two counts of conspiracy, namely a fraud and a civil rights charge. Wildstein resigned from office in December 2013 after he was accused of having ordered road closures in Fort Lee three months earlier because the city’s mayor had failed to endorse Christie for re-election. The road closures shut down two of the three lanes that provide local access to bridge’s Fort Lee entrance, prompting major traffic delays to occur on what the Port Authority has called the busiest motor vehicle bridge on the planet. Wildstein admitted to ordering the closures as a means of political retribution. Wildstein’s acknowledgement to federal prosecutors implicated two others tied to the scandal who were subsequently charged in indictments unsealed later in the day. Former Port Authority Deputy Executive Director Bill Baroni and Bridget Anne Kelly, the former deputy chief of staff to Gov. Christie, are named in that nine-count indictment and expected to be arraigned in Newark on Monday morning at 11:00am ET. “Did you punish the mayor … by deliberately causing traffic problems?” US District Judge Susan D. Wigenton asked Wildstein, according to The Record, a local news outlet. According to newly released court documents, Wildstein, Kelly and Baroni conspired starting in August 2013 to close roads in Ft. Lee to punish Mayor Mark Sokolich, a Democrat who did not support Gov. Christie for re-election. The group plotted to shut two of three critical roads near the GW Bridge under the guise that the Port Authority was conducting a traffic study, Fishman said, which they never actually intended on doing. “They did something else entirely,” Fishman said at Friday afternoon’s press conference. By using the supposed traffic study, Fishman said, the three “manufactured and perpetuated a bogus cover story” in order to “carry out a public vendetta and exact political retribution” against Sokolich. Federal prosecutor calls #Bridgegate "a deliberate and illegal scheme" to carry out a "political vendetta" against mayor of Ft. Lee, NJ. “The laws of the United States do not permit this kind of behavior,” Fishman said. Fishman said Wildstein orchestrated the “deliberate and illegal scheme” and that the Justice Dept. has accepted his guilty plea to counts of conspiracy to misuse and misapply Port Authority resources and conspiracy to violate the civil rights of residents by intentionally interfering with their right to travel. Wildstein faces a theoretical maximum of 15 years in prison when he is eventually sentenced, Fishman said, but guidelines recommend no more than 27 months behind bars. Baroni and Kelly should expect to face a similar potential sentence if they are found guilty on all counts, the prosecutor added, and Wildstein will likely be favored on account of his cooperation with investigators. “He is cooperating with the US. He has been cooperating for some time, and it is typical when people are cooperating for that cooperation to be brought to the attention of the sentencing judge,” Fishman said. The prosecutor also acknowledged that unnamed co-conspirators are mentioned in the indictments unsealed this week, but said the attorney’s office was “not going to charge anyone else in this scheme” based on evidence that’s currently available. However, Alan Zegas, an attorney for Mr. Wildstein, told the New York Times on Friday that “There is a lot more that will come out” as proceedings continue. Zegas told the paper that “evidence exists”.